Since I like my women like some people like their Hondas (Fit), I can't think of any weird female celebrities I'd be attracted to. Sandra is a good one. That's true. Maybe someone who looks a bit dorky looking. Speaking of which, one of my friends is infatuated with Bjork. I think she looks like a freak, but he just loves her (and her music). yes--did you see him in that movie when he has an affair with juliet binoche--OMG! he is gorgeous! You probably mean Damage I mentioned. Can't think of another one with both of them right now. Yep, he looks yummy to me. Me likie your taste, chiaro! Based on these pictures, I can recommend Gong Lee as well, unless she's ancient in your book. 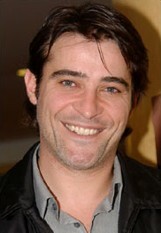 Oh, just came up with a new less-known guy today - Goran Visnjic. Dayum. The asian women will always get me, no matter how old. Last edited by chiaroscuro; 05-24-2008 at 06:41 PM.. 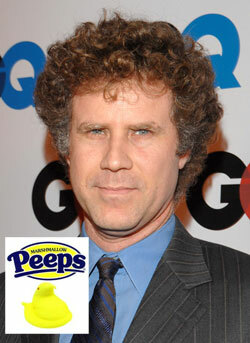 I think Mr Ferrel is a HUGE turn off,,sorry,but he might be fun to go out for a few drinks.